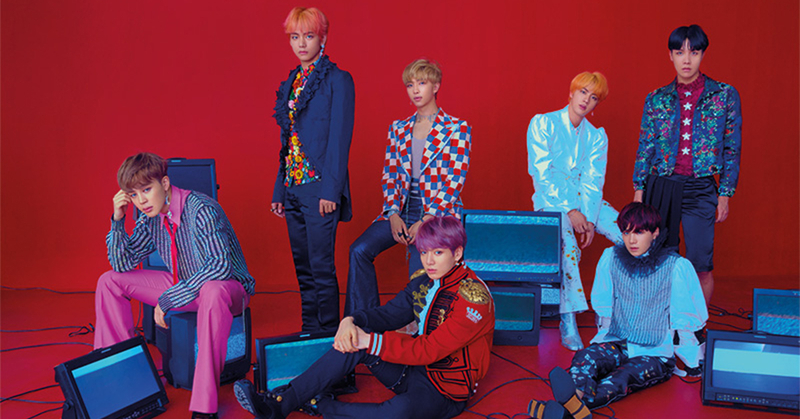 BTS' 'LOVE YOURSELF: Answer' Sold Over 1.93 Million Copies…"All-Time High Sales Record Set First in 20 Years"
BTS' repackage album LOVE YOURSELF: Answer sold over 1.93 million copies of their record since its release eight days ago. According to the 'Monthly Album Chart' for August 2018 of Gaon chart on September 6, LOVE YOURSELF: Answer released on August 24 topped the sales record by selling over 1,933,450 copies. This numerical value reached an all-time high sales record of Gaon Chart, and reportedly, the number includes copies sold to the overseas country. Also, based on the album sales accumulated from 1999 to 2007 by former KRIA (Korea Record Industry Association), BTS was the first artist to have sold over 1.9 million copies since 1999. The record of Cho Sung Mo of his third official album in September 2000 sold around 1.7 million copies (CD+tape), but it fell short of the record set by BTS. No one artist had a record of selling over 1.9 million since 2008 as the trend has slowly changed into a digital music market. And starting February 2010, Korea Music Content Industry Association aggregated the record sales. Following BTS' previous albums LOVE YOURSELF: Her and LOVE YOURSELF: Tear, LOVE YOURSELF: Answer together let the group achieve to become the artist possessing 3 million seller albums, and is looking forward to reaching over 2 million copies. BTS has begun their LOVE YOURSELF world tour concert on September 5 in Los Angeles Staples Center and will be holding 33 shows in 16 different cities.